We’re thrilled to present the first of a series of store features from around Australia and boy do we have a visual treat for you. Tinypeople in Byron Bay on the far north coast of NSW is situated within a holiday mecca; a playground of the rich and famous, as well as everyday people with a taste for the good life. Celeb regulars are just part of the business as usual gig for the team at Tiny People, which is made up of Danielle Perrow and her sister Vanessa. Identifying a gap in the Byron Bay market, they opened the store in 2006 to great acclaim. As the wife of professional surfer Kieren Perrow, Danielle has travelled around the globe many times over… with kids in tow! She discovered incredible treasures for children during her travels but found the local market lacking, so she enlisted her sister to launch Tiny People. The store was created with a crisp white backdrop for clean lines and a minimalist look. 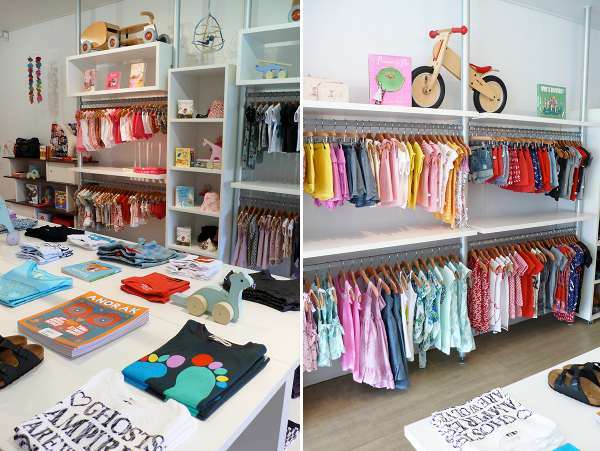 A colourful range of contemporary clothing and accessories for babies and children now fills the space. With both sisters born to shop and backgrounds in retail and marketing, Tinypeople was destined to be incredible. 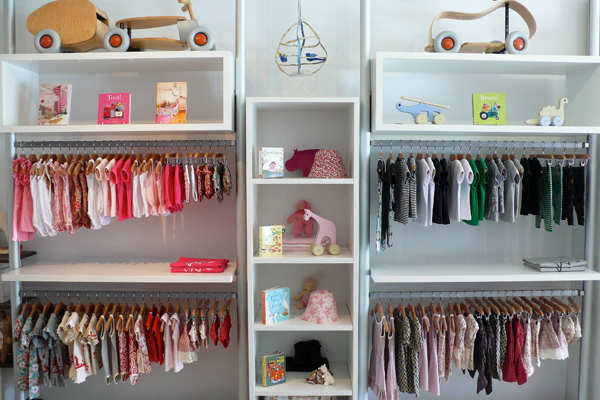 Danielle is constantly on the lookout for the very best in children’s wares to stock instore, showcasing boutique Australian labels through to edgy international brands. 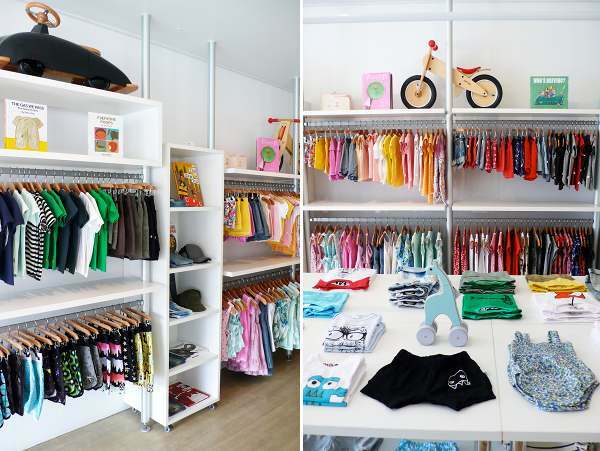 Tinypeople’s modern, minimalist environment makes shopping a relaxing joy – a real rarity for parents! Labels stocked include Munster, Littlehorn, Paper Wings, Deus, Minti, Mama Papa, Cried Wolf, Wovenplay, Mini Rodini, Miss Haidee, Go Gently Baby, Pop Up Shop and so much more. Tinypeople is also renowned for its amazing collection of books and handmade one-off objects. Tinypeople launched its online store in 2007 and now sells to customers all over the world. 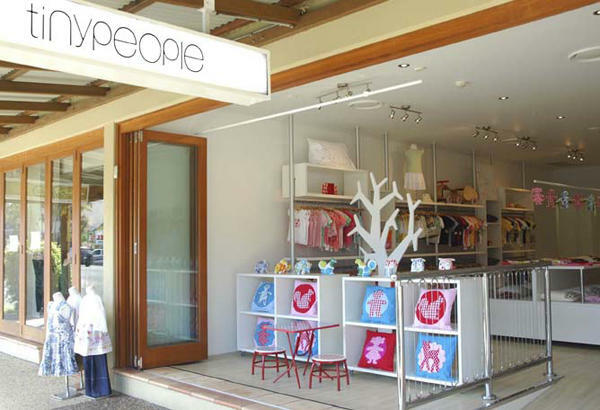 We’ll be stopping by Tinypeople when we’re next in Byron Bay. We can hardly wait! If you’re going there, it’s located at Shop 10, cnr Lawson & Fletcher streets, Byron Bay, NSW.